Storm Shadow was one of my first figures I bought from the G.I. Joe Sigma 6 line. I did get the Storm Shadow Crossbow figure but I still need to open his package. I did also purchase Sigma 6 storm shadow online as I was also looking to have this figure mint in package and un opened. Storm Shadow is one of my favourite G.I. Joe characters when I was younger. I was always into martial arts when I was a kid, I wanted to be a ninja LOL. I have other figures of the Sigma 6 line posted on my blog. Don't be shy to check them out if you have a chance. STORM SHADOW began his career in mainstream U.S. intelligence groups. Early on, he went undercover into the COBRA organization and was brainwashed by the enemy. With powerful mind tricks, they convinced him that the groups he worked for were really traitors, and that COBRA forces were the good guys trying to stop them. He is a powerful ninja who has adapted his martial arts skills to suit his own evil purposes. A covert ops counterintelligence expert, he once performed undercover sabotage operations. Now, as a member of COBRA, he uses this knowledge against the SIGMA 6 team, always working to destroy them, and anyone else who gets in his way. * Katana sword: hand-forged with a hardened, carbonite steel blade. * Wakizashi sword: made with a tri-alloy steel blade, used in combat. * Nunchaku: with deployable blades, used for disabling communication links. * Climbing gear: steel hand and boot claws, with reinforced grappling hook to climb natural and man-made obstacles. * Sai's: close quarter combat used against any weapon. 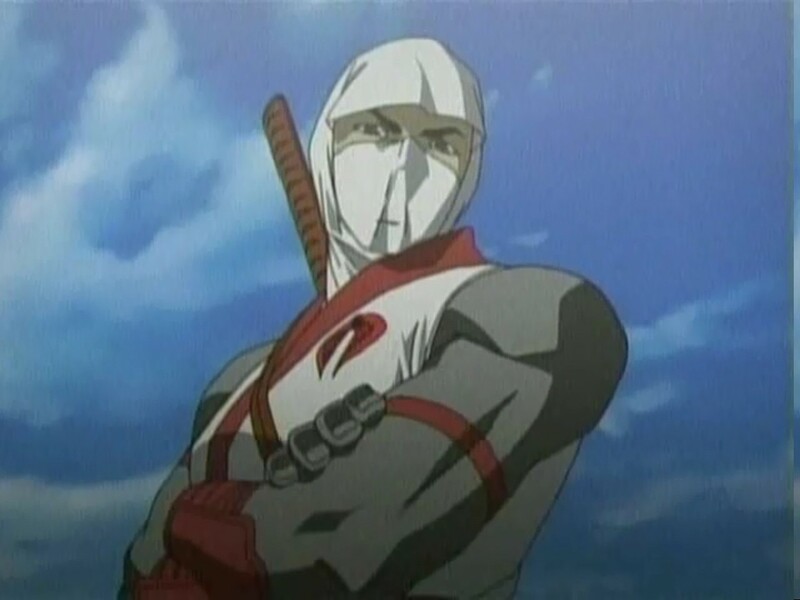 In his original A Real American Hero incarnation, Storm Shadow's real name is Thomas S. Arashikage (トーマス・嵐影) (Arashi meaning "Storm" and kage meaning "shadow" in Japanese), a Japanese American. 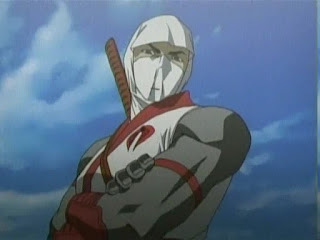 Storm Shadow served in the U.S. Army special operations group along with Snake Eyes, and later invited him to train as a ninja with his family in Japan. The duo have been everything to one another from the bitterest of enemies, to the most loyal of friends, who would fight and die for one another. Storm Shadow can trace his family history through thirty generations of assassins. He is an 8th degree black belt in several martial arts, and can endure unimaginable amounts of hardship and pain. Storm Shadow moves with blinding speed, can scale sheer walls with bare hands and feet, and is an expert with a long bow, katana, throwing stars and nunchaku sticks. He usually wears a white uniform and mask. When out of his uniform, he is shown to be Japanese, with black hair and dark eyes. More shots to come for Storm Shadow and other G.I. Joe Sigma 6 Figures.